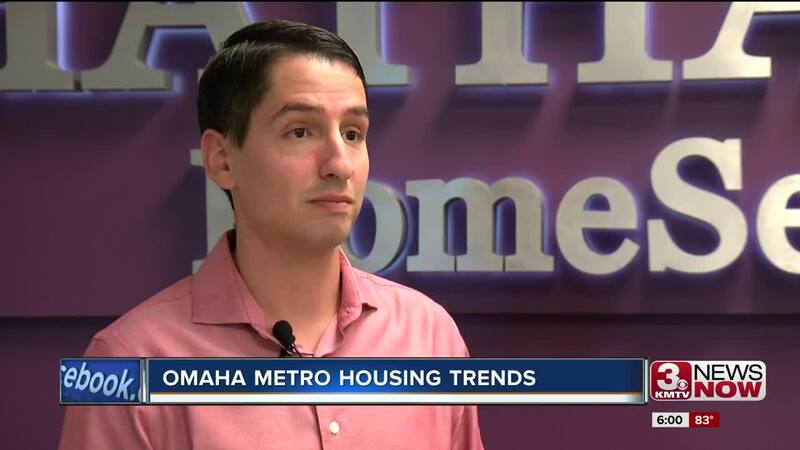 Experts say the Omaha housing market is expected to see a correction, meaning the market will become more balanced as our area sees a trickle-down effect of slowing housing sales on the west and east coasts. Sectors of the Omaha housing market are still going strong, particularly for the sale of homes under $200,000. Houses priced in that range typically see offers coming in within days, but experts say houses at the $400,000 price-point and above are taking longer to sell. A variety of factors affect the market including more people moving to the area as well more first-time home buyers in the market. New buyers typically look for homes in the $200,000 price point and lower, while new construction is typically out of that price range. Experts say the Omaha housing market is expected to see a correction, meaning the market will become more balanced as the area sees a trickle-down effect of slowing housing sales on the west and east coasts. The Federal Reserve Bank says the state's real estate market has grown at the sixth highest rate in the country. Rosenbaugh said he’s seen many of his neighbors come and go through the years. “A year ago, it would take a month or two before anything would sell,” he said. “This year, it has just exploded. And like Rosenbaugh's street, there seemingly is a house for sale on almost every corner around the metro. But all those “for sale” signs aren't necessarily reflections of a hot market across the board. “We have a 200 (thousand dollars) and below price point that’s really hot right now,” said Johnathan Silva of Berkshire Hathaway Home Services. “We have houses that are coming on the market and being sold with multiple offers within a short period of time. Days. “What we are seeing with the 400 (thousand dollars) price range is those are taking longer because right now across the market, we have over a year supply in the 400 thousand and up price ranges, so this sit longer because there are more options for buyers to consider,” Silva said. First-time homebuyers are more likely to search for houses at a lower price point as new construction is typically more expensive. Move-in-ready homes usually sell faster. All those factors play a role in which houses are going quickly, sometimes selling well above asking price. “I have seen it go up 20 thousand (dollars); I have seen higher,” Silva said. But experts say current trends are showing sales are moving to even out.